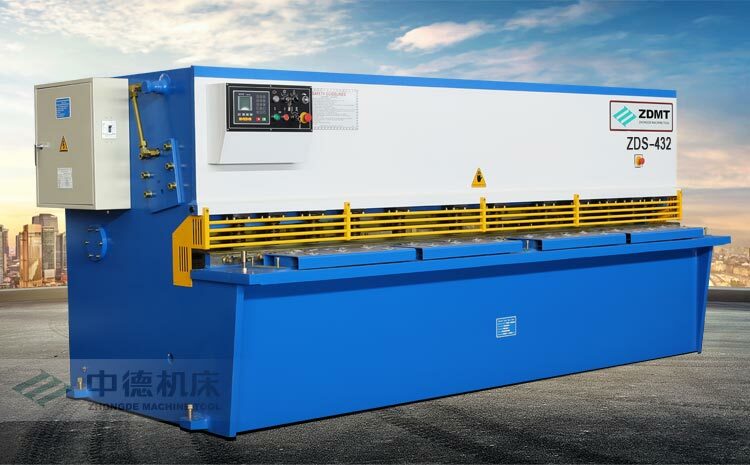 ZDS-432 Hydraulic Shearing Machine / QC12Y-4*3200 Metal Sheet Cutting Machine - ANHUI ZHONGDE MACHINE TOOL CO., LTD. 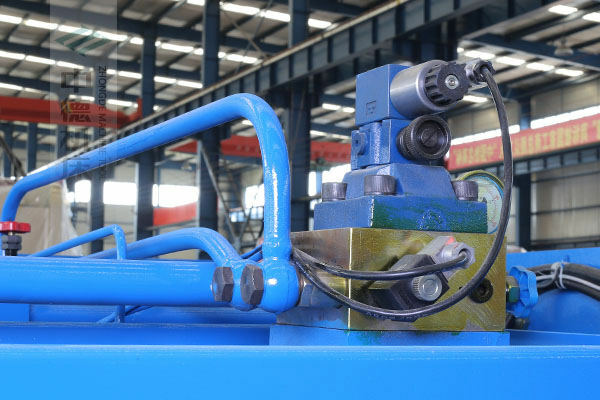 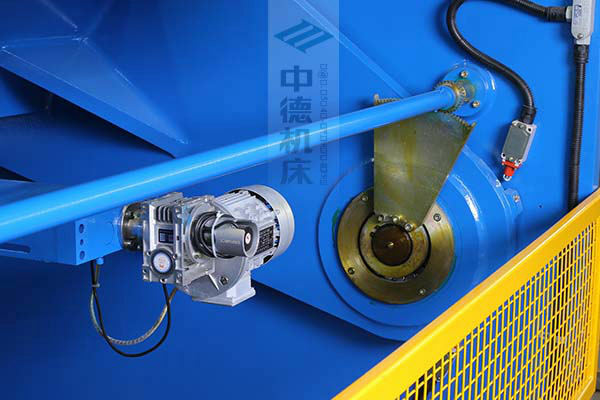 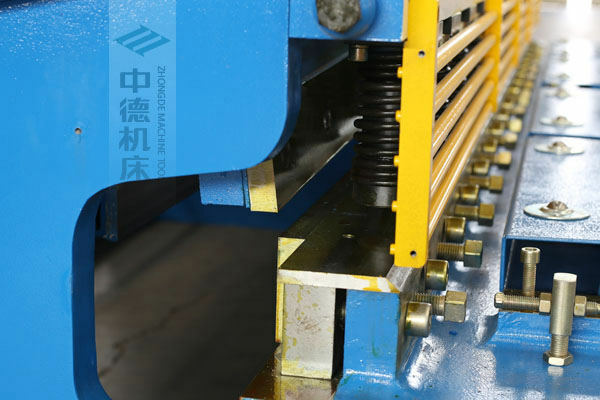 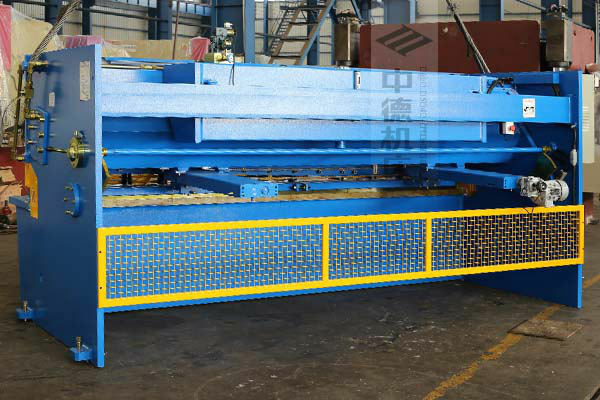 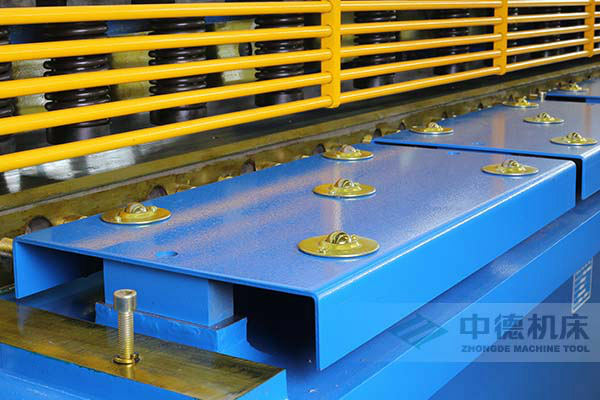 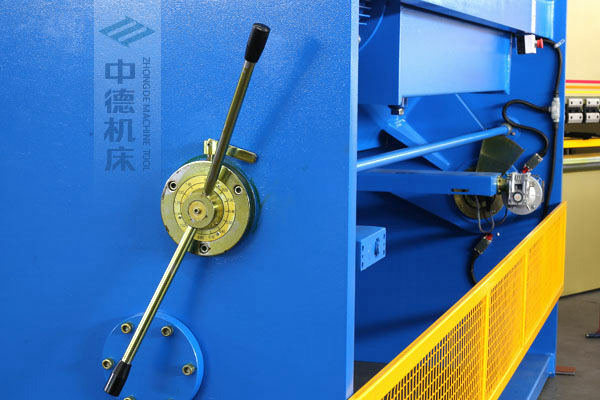 The model of this hydraulic shearing machine / metal sheet cutting machine is ZDS-432 (QC12Y-4*3200),Steel plate welded structure,hydraulic transmission and accumulator return strock;Indicator based gap adjustment of blades,convenient and swift;The blades with high tensile strength,can cut mild steel and stainless steel;E21S as the simple CNC controller,it can control the movement of backgauge,achieving efficient and highly precise positioning. 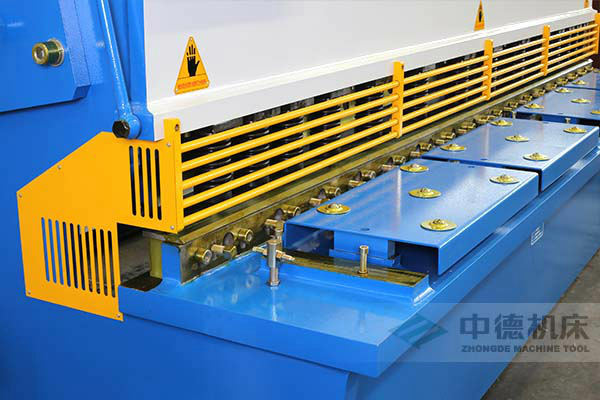 ● Rear view of ZDS-432 hydraulic shearing machine / QC12Y-4*3200 metal sheet cutting machine. 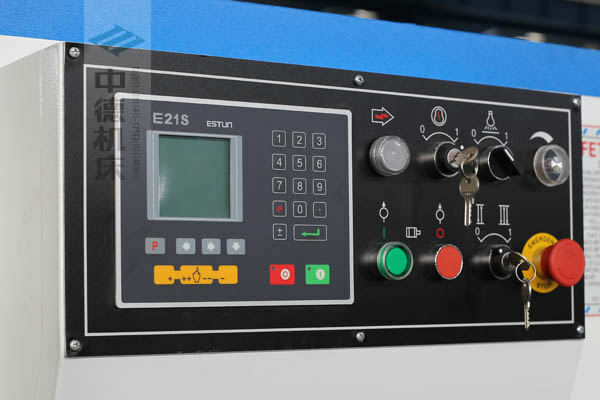 ● E21S simple CNC controller for ZDS-432 hydraulic shearing machine / QC12Y-4*3200 metal sheet cutting machine. 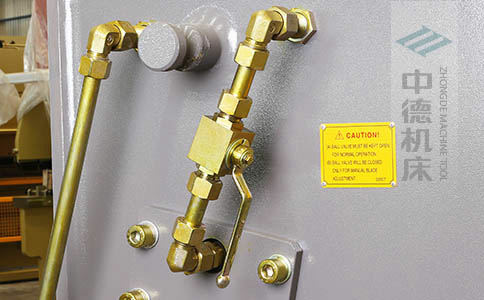 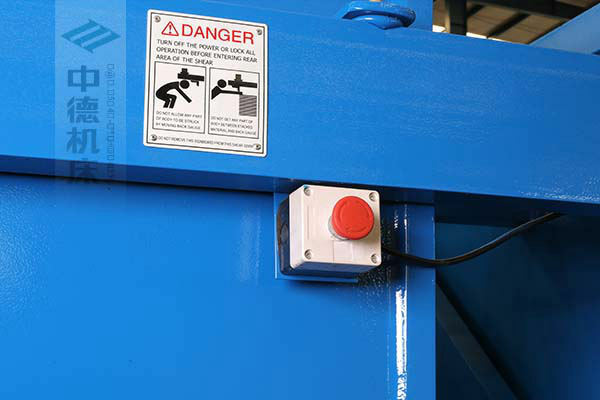 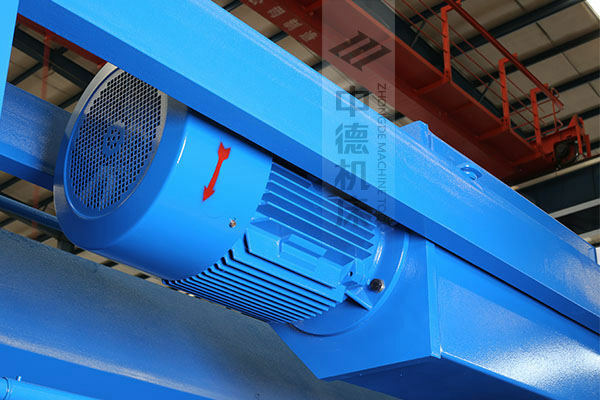 ● Indicator-based adjustment of blades clearance is easy,convenient and swift. 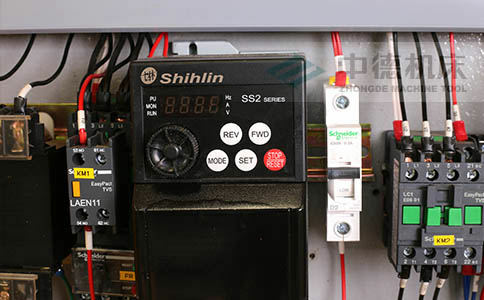 ● Taiwan high quality SHIHLIN frequency inverter,lower frequency and more energy-efficient,with quick positioning.